Da Nang is surrounded by beaches. They are not as breathtaking as the ones you will see in Thailand, but they are very clean. In fact, they are the cleanest I’ve seen so far in South East Asia. During the day, until around 3pm, they are mostly deserted and quiet, so you can really enjoy your time here. Just be aware that the beaches here don’t have any shade and the heat can be unbearable sometimes. Therefore, you can either buy a parasol or rent a deck chair with one on the beach. A whole day will cost you 40,000 VND. I used to go to the beach on the southern side as it was the closest to my place of living. For me the best time to go to there was from 12 until 3. It was when it was the quietest. After 3 hordes of tourists would come and the quiet time was over. However, if you had to the northern side or the beaches on Son Tra Peninsula, you will have much more space and won’t have to worry about sharing your parasol with anyone else. When you walk on the main beach you will notice a tall, white statue in a distance. That’s the Lady Buddha, which guards the shores of Da Nang and looks after the local fishermen. It’s the tallest statue in Vietnam and is part of the Son Tra Linh Ungh Pagoda complex, which is a great place to visit. The temples and the statue all come from the 18th century and have been recently restored. The surrounding gardens are really beautiful and you can admire the nearby bay from the main terrace. The entrance is free as well as the parking. You can get there by a scooter, or you can hire a taxi for around 200,000 VND. I think Marble Mountains was my absolute favourite place around Da Nang. I loved the caves with carved walls and the way they illustrated what awaits people in hell. Pagodas, spread around the area, were really impressive. This is the place to go if you want to see something mesmerizing. The Marble Mountains are the main attraction in Da Nang. If you drive a scooter there, you will be chatted up by Vietnamese ladies, who will talk to you while driving by your side. They just want to get you to park in the more expensive parking. Don’t get fooled. The best spot is just outside the main cave. There are separate entrance fees for the cave, the mountains and the lift. The whole visit will cost you around 45,000 VND. Da Nang is the most impressive at night. One of the biggest attractions in the city centre is the Dragon Bridge, which not only is beautifully lit during the night, but also spits fire every Saturday and Sunday at 9pm. You simply need to see this spectacular show! We used to go there almost every weekend. I really liked the festive atmosphere and the colourful show. It was alsmost like the New Year’s Eve. After it is finished, head downstairs to the bars. Sometimes they have a free ladyboy cabaret and there’s always cheap beer on offer. Da Nang doesn’t really have impressive malls or designer shops but it’s great if you want to make your own clothes, or see a real local market. If you want to do the latter, I recommend going to Con Market and Han Market – both great places to buy cheap food and clothes and watch how life happens in Da Nang. If you live in Da Nang it’s probably a good idea to shop there for groceries and other necessities. Remember to bargain if you think that the price is not fair! There are plenty of places to explore around Da Nang. If you are brave enough to drive a scooter, a round trip outside of town is a great idea. You can explore Hai Van Pass, or admire the views from Son Tra Peninsula. If you go there outside of the high season, you won’t see any other tourists on the road and the ride will be very pleasant. That’s why a road trips are easily one of the best things you can do in Da Nang. However, remember that the Hai Van Pass gets quite busy in certain times of the year, so be careful and drive slowly! If you are a little scared of the traffic in Vietnam, you can always hire a taxi, or go on an organised tour, which will take you to all of the most important places. Alternatively, take a train from Da Nang to Hue and enjoy the views of Hai Van Pass from the safety of your seat. I recommend staying in Hue for a couple of days as it’s a very nice town with lots of places to see. Asia Park is one of the biggest and most modern amusement parks in South East Asia. 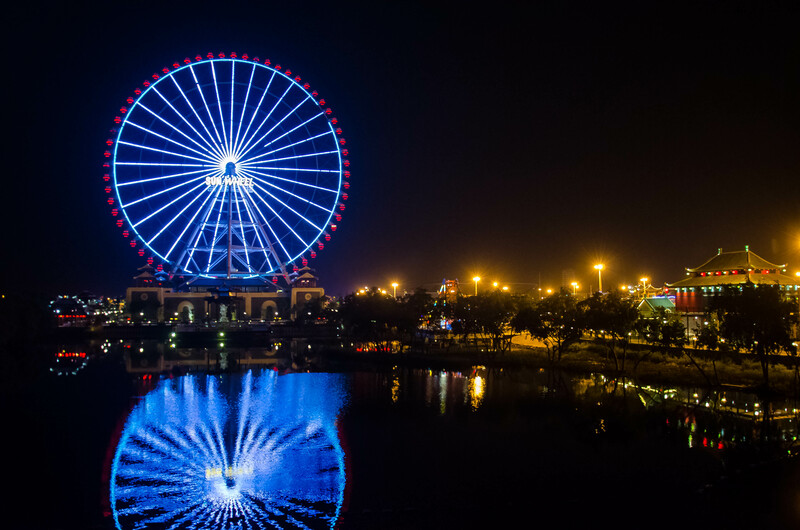 Its ferris wheel provides amazing views of the city and is a prominent feature of Da Nang’s night landscape. There are no crowds here at all and in some places, you can feel like you’re in an abandoned but still functioning amusement park. There’s also a small train called Monorail, which will take you around the area and from which you can see the bridges of Da Nang. This was probably my favourite activity there, although I also liked the Sun Wheel. Visit the park at night, when it is beautifully lit. My Son Holy Land is located around 40 minutes drive from Da Nang. There are multiple companies that organise trips there, or you can drive by yourself. I got there on a scooter and it was a little scary. The roads in Vietnam are dangerous and busy. I don’t think I would do it again by myself. The site is not as big as the ancient temples in Cambodia, but provide a great insight into the country’s past. There is a small museum at the entrance and all of the ruins have signs with information. It’s a nice place to walk around, but mind the fact that it gets quite hot there, so take some water with you. At the end of the tour you can attend a traditional Vietnamese dance performance. If you want to see coral reefs and some colourful fish, take a trip to Cham Islands – a really beautiful spot, located only an hour by boat from the shores of Da Nang. It makes a great day trip, or you can camp there for a couple of days. 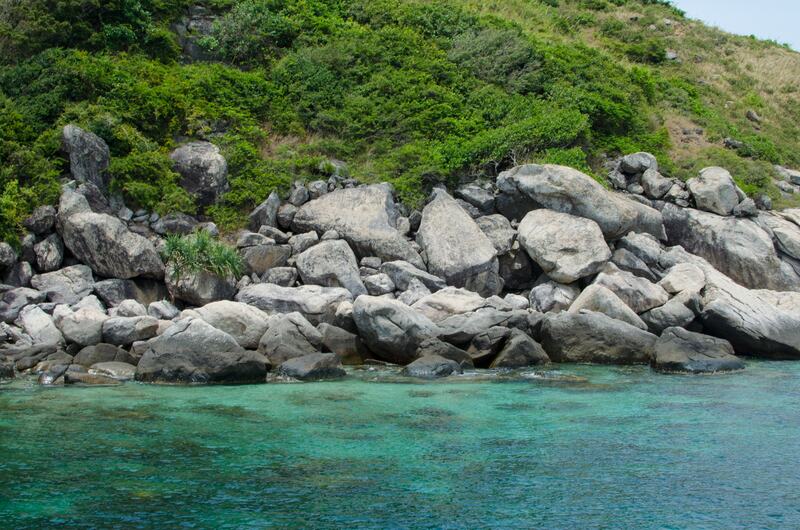 It’s quite hard to organise a trip to Cham Islands by yourself. You have to go to the marina early in the morning and hope for a place on a boat. There is also no information about when the boats go back. In my opinion, it’s best to book a trip. We did it through the Da Nang Visitor Centre, which helped us to book a snorkelling tour. We had to spend a night in Hoi An as the pick up was only from there, but that was a nice getaway from the city and I highly recommend doing it. Oh, how I love coffee! Vietnam is famous for it and Da Nang offers a lot of places, where you can enjoy a strong cup of this energising beverage. 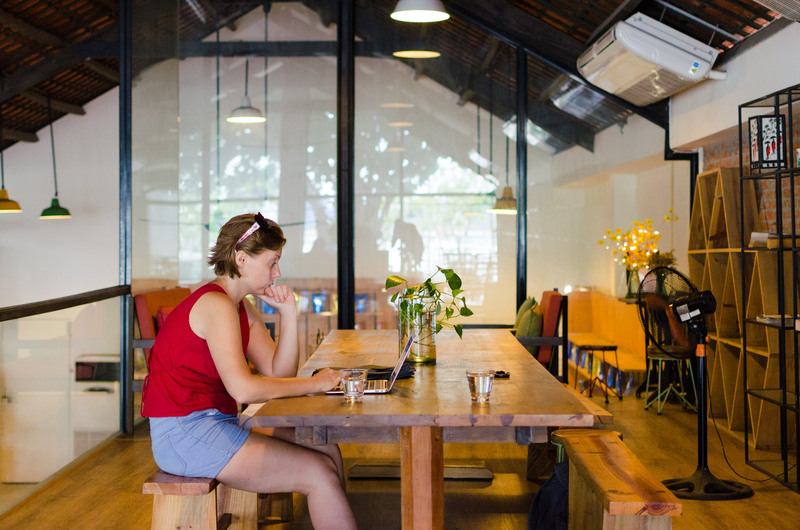 There are plenty of places to choose from, whether you want to relax with a book, or work in a peaceful environment – you will find really amazing coffee shops in Da Nang. You can choose between very local places with plastic chairs and tables and some more modern cafes, which are also ideal for remote workers. The ancient town of Hoi An is only half an hour drive from Da Nang. It is a great option for a day trip. You can also stay there for a weekend. There are plenty of things to see and do there and the town is lovely. I highly recommend going there for the Full Moon celebrations, which take place every month. Despite the fact that it’s usually quite crowded, it’s a nice thing to experience. Hue is a little further and it takes 3 hours on a train to get there. 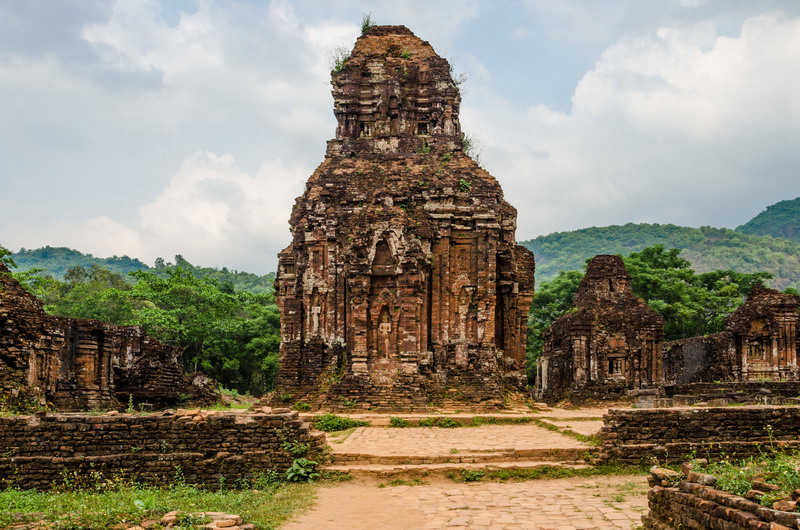 Staying in Da Nang for longer will make it perfect for you to visit Hue, or you can easily continue your journey around Vietnam from Da Nang, too. Da Nang is great for nightlife. If you’re looking for clubs, where you can dance until dawn, or enjoy a quiet drink in a bar overlooking the River, this city won’t disappoint you. Don’t miss the Sky 36, where you can admire the illuminated city at night. Golden Pine is the most popular bar among young Vietnamese and local expats. It’s a loud party that lasts until dawn. Drinks are quite cheap, but the music might not be to everyone’s taste. Vietnam is a wonderful country, but if you’re going there for the first time, prepare yourself well. I was in a culture shock for a bit at the beginning and it took me a while to get used to it. Da Nang is only now becoming more and more popular and it’s best to know as much as possible before you go. Remember that you need a visa to Vietnam. There are a few options for foreigners. Depending on which country you’re from, you might be eligible for visa exemption. The easiest way is to apply for a visa on arrival. It’s an ideal solution if you’re going there for more than 2 weeks. Da Nang is becoming more and more popular with expats and travellers. You can easily get there by overland transport or take one of the cheap flights. You can fly to Da Nang from many domestic and international airports. There are flights from places like Bangkok, Da Lat, Ho Chi Minh and Hanoi. The train station is about 5 kilometers from the city center. You can take a taxi there. Your hotel can help you with booking your ticket for a small commission. They normally charge up to 20,000 VND extra. Alternatively, you can catch a ride there and buy the tickets at the cash register, or save yourself the hassle and book them online. Below I’m providing you with links that will allow you to buy the tickets straight away. You can change your destination at the top of the page if you want to travel from Da Nang to these destinations. I didn’t use the buses to get to and from Da Nang, so I can’t tell you about my experience. I know that there is a number of services going to and from different parts of the country. From here you can also go to Laos, but that journey will take you about 30 hours (!). You can easily find out about the prices, timings, and services available on 12GoAsia. I drove my own scooter in Da Nang. I rented it from my landlady. Before that, I tried different rental places with an average result. First, I got a scooter, which was old and every time I added gas it made a sound like it was about to explode. Considering the horrible traffic in Vietnam and constant beeping from all sides, it became unbearable for me to drive. The scooter was then exchanged for a different one, which was a bit better. However, the rental place wanted me to leave my passport for the whole 3 months of my stay. I just couldn’t allow that. If you’re not so brave and prefer to have a pleasant, quiet time in Da Nang, then you can easily hire a driver. There are plenty of taxis in the city. Just remember to check if the meter’s on, otherwise bargain hard. I hope I provided you with some good tips on what to do in Da Nang as well as some practical information. If there’s anything I forgot to add, or if you have any questions, leave a comment and I’ll try to help you out!